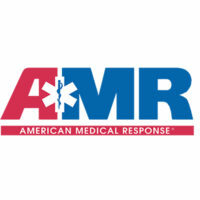 American Medical Response (AMR) is a medical transportation firm. Aside from offering emergency response (by land or air), the company provides training to aspiring paramedics and EMTs. In 1992, three companies merged to form AMR, namely Buck Ambulance, Regional Ambulance, and Vanguard Ambulance. Since then the firm has been sold several times, and is currently under Clayton, Dubilier, & Rice. The company is headquartered at Greenwood, CO, and has more than 10,000 employees. It has won several awards such as the Silver Stevie Awards (CPR) and the Nicholas Rosecrans Award (Injury Prevention). The medical transportation firm’s employees enjoy a wide assortment of benefits, including medical care, paid time off, life insurance (for them and for their spouse), and tuition reimbursement. Employees also appreciate the learning opportunities that come with the company’s high call volume. Camaraderie among management and personnel is considered a plus as well. How old do you have to be to work at American Medical Response? The firm does not indicate age requirements in their job posts. However, given the qualifications and licenses needed for most openings, it’s safe to say that all applicants are more than 18 years of age. Customer Service Representative: Those given this position are primarily tasked to handle calls and process emails. They are required to record all relevant information from such conversations. Medical Drivers: Aside from having to drive the ambulance to and from the designated location, these individuals occasionally assist in lifting patients. In addition, they have to be ready to provide emergency care. Emergency Medical Technician: Individuals in this role respond to emergencies, providing immediate care whenever necessary. It is also their responsibility to ensure that patients are safely transported to the hospital. Registered Nurse: Those with this title commonly care for patients in their homes, and not necessarily under critical situations. They have to monitor and assess patients daily. The medical transportation company also employs people for the following positions: IT Field Support Technician, Pre-Billing Specialist, Workforce Management Administrator, Ambulance Supply Technician, and Mechanic. Applications are done online. The company has its own job portal (under the Envision Healthcare Brand) that may be accessed freely. There is no need to sign up just to check the current openings. As to be expected, on-site or walk-in applications are not allowed. All interested applicants would have to use the job portal online, even in providing all relevant information. In relation to that, it’s important to fill in every requested detail. It’s also crucial to provide only up-to-date and accurate information – any discrepancies might reflect negatively on the applicant. The same guidelines may be used by those writing their resume. Aside from giving all the relevant details, it’s vital that the resume is properly formatted and can be read easily. As for the interview, it would be advantageous to show both attention to detail and empathy towards those in need. Of course, it’s just as important to dress appropriately, speak clearly, and maintain eye contact. While the firm’s culture is often described as friendly and family-like, it is undeniably fast-paced. Employees sometimes even face the need to work beyond their shifts and to work consecutive 12-hour shifts. The University of Colorado – Colorado Springs gave tribute to the first responders in the 2015 mass shooting. American Medical Response personnel were among those honored. The company is known for making a difference in people’s lives. That doesn’t just pertain to the nature of their primary services though. They also give back to the community in several ways. Among such is their partnership with top organizations in the health niche, including March of Dimes. The medical transportation firm is also involved in Stars of Life, an event dedicated to ambulance service professionals.